EU Ambassador to the United States speaks with Defense & Aerospace Report on nationalism, EU-US Relations, Foreign Policy, and the current state of the European Union. When viewing the European Union, it is important to learn from history and understand the big picture. 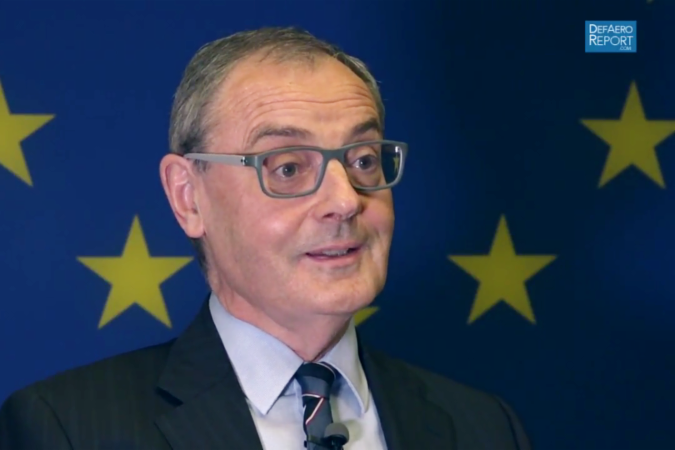 Such was the message from EU Ambassador to the United States David O’Sullivan, in an interview with Defense & Aerospace Report’s Vago Muradian on Friday afternoon. Discussing a variety of topics, Ambassador O’Sullivan touched on everything from foreign policy and EU-U.S. relations to the general benefits of the European Union. “The great strength of the EU has been that we have found a new way of living together on the European Continent,” Ambassador O’Sullivan said, elaborating on Europe’s war-ravaged history. And yet the benefits of the EU go far beyond assuring peace on the European Continent. From participation in a single market of 508 million people to collaboration on international affairs, EU Member States delegate some of their sovereignty in order to better defend common values — none of which comes at the price of sacrificing national identity. Ambassador O’Sullivan said that the EU was “very reassured” by Vice President Mike Pence’s recent visit to Brussel as they had been given a clear and strong commitment that the United States will continue to support the European Union and work to maintain good EU-U.S. relations. As the conversation shifted to “Brexit” and the rising tide of nationalism in Europe, Ambassador O’Sullivan said, “Consumed in moderation, nationalism is a good thing,” emphasizing the need for national pride — but not the type that impedes upon other cultures and populations, which spills into conflict (if not war). The official Medium channel of the Delegation of the European Union to the United States of America.